From many years there has been a lot of mis-selling happening in some products and investors are getting trapped in it. In this article I’m going to tell you about mis-selling of financial products so that you avoid getting into this trap. Mis-selling means selling a product by giving a wrong picture of a product , it may include . Not giving full information about the product. Selling the product with proper information, even if it does not fit customers requirement. Low Awareness : Financial awareness is very low in our country and that’s the reason we do not understand products and how they can fit our requirement, Agents put a picture of a product in such a way that it looks the best product for us. Competitive environment and Sales Targets : There is lot of pressure on agents and manager to show performance and sell products to meet there targets because of which mis-selling happens. 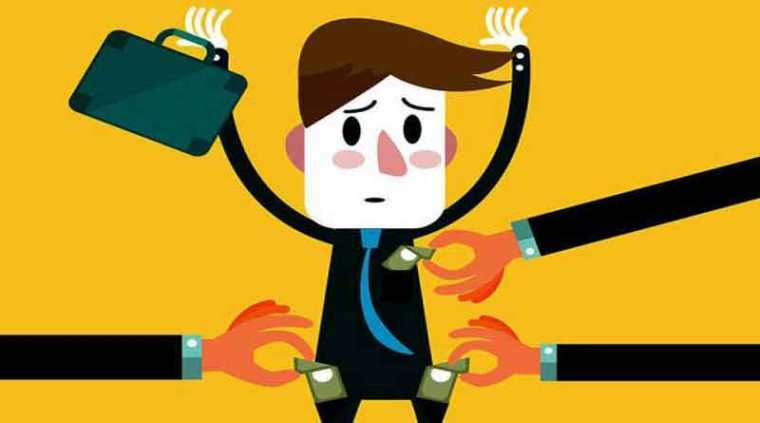 Last minute “Tax Rush” : People in India do not plan there Investments in Advance and hence at last moment they buy product just to save tax and which does not fit there requirement, and sellers take advantage of this. ULIPS are the classic example for mis-selling in this country, ULIPS are often projected as high growth, less risky products with “Insurance” in build. Ofter agents promise that ULIPS are risk free and it wont drop more than x% and return at least 10-15-20% in long run, which is nothing but marketing gimmick. I have seen at least 100 people who have bought ULIPS and they don’t need it after 3rd year. They do not know why they bought it other than tax saving and when talked about how much Insurance cover they have, no one had more than 5 lacs. One of my friend has ULIP for 50 yrs !!! not sure what he will do !! One of my friend has insurance of 1.25 lacs !! Insurance of 1.25 lacs !! Really, what does that mean … His/her life cover is just 1.25 lacs, he earns 5 lacs yearly !! Read : who needs ULIPS ? Even mutual funds are mis-sold, that happens when a agent recommends you a mutual fund which does not fit your requirement. Often agents recommend mutual funds which are too risky for customers without understanding there risk-appetite. Read how to choose mutual fund ? One of the worst thing which has happened in India is that Agents never tell customers about Term-insurance, which is ultimate requirement for Indians, This happens because of penny like commission agents get on Term policies, that’s the reason they often lure customers with products like ULIPS and Endowment or Money back policies, which do not insure people to the extent they need it. Agents don’t explain the importance of Insurance and only make them feel that they loose money in Term Insurance and we get lured by it, because we love “not loosing money” more than “little chances of dying and our families suffering”, this happens because people do not have enough foresight to look into future and question themselves about what will happen if they die without giving enough cover to there families. So like this Mis-selling happens in many products. What can we do and should do? So the only thing we can do is to educate our self to the level where no one can take advantage of our ignorance. Once you come to a level, where you understand importance of things in investing and managing you money, then no one can mis-sell you the products. One of the recent product which i will categorise in Misold category is “Jeevan astha”, The reason I will say it was mis-sold is because it tried to put its picture in a very fuzzy way and tried to put things which were confusing to general public. Don’t Take any product just because it look good or is recommended by someone (not even me). Do your research and do some study, it does not take more than 1 hr to search the net and read about it, or ask some knowledgeable person whom you trust about the product. 1 or 2 hrs to study can save you pain of years, So don’t be lazy, when it comes to money no one is yours, its only you who can save you from mis-selling. So wake up .. Jago Investor 🙂 Jago !! Till date I have told about 500 people about term-assurance plans (by the way its ‘term-assurance’ and not ‘term-insurance’). Only 5 opted for it. The rest did not want to invest in in citing the reason that they will loose money if they survive the period! The non-investors simply do not want to accept the fact that life is very uncertain. This plan could give their family a handsome sum of money, in case of death, by paying the lowest possible premium. For example, a 34 year old person can get 10 lacs cover for just approx 4600/- p.a.! how cheap it can get? monthly, it would be less-than 400/- rupees. if two people goto a multiplex, 400/- will vanish in no time. Can’t people set aside 400/- a month for a term-assurance instead of blowing it away on wasteful expenditure? I have invested Rs100000 in wealth plus. You are very correct . ULIPS and ULPP both have high initial costs. The other point is that often they advertize there low allocation charges , where as IRR is the main thing . IRR adjusts all the costs and shows you the cost-adjusted returns .